Delores Phillips promotes The Darkest Child. Lecture, Luncheon & book signing sponsored in part by the Arts and Humanities Council of Montgomery County and HarVest Bank of Maryland. Seats available by advance reservation only. No refunds. For more information, contact www.folmc.org or 240-777-0020. 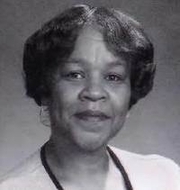 Delores Phillips is currently considered a "single author." If one or more works are by a distinct, homonymous authors, go ahead and split the author. Delores Phillips is composed of 2 names. You can examine and separate out names.